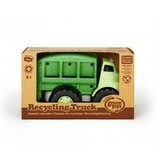 This Recycling Truck is not your typical toy vehicle. 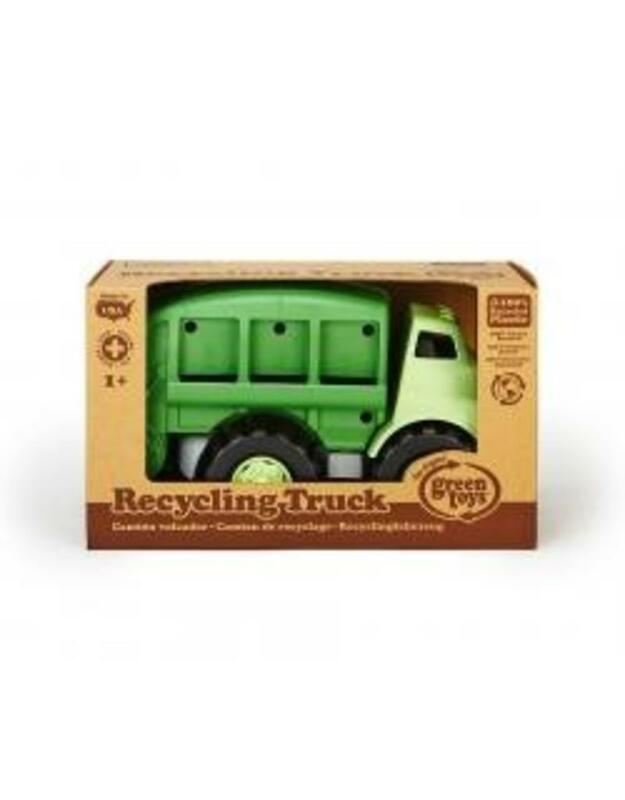 Manufactured and assembled in the USA, it’s made from 100% post consumer recycled plastic milk jugs (HDPE #2 plastic) that save energy and reduce greenhouse gas emissions. 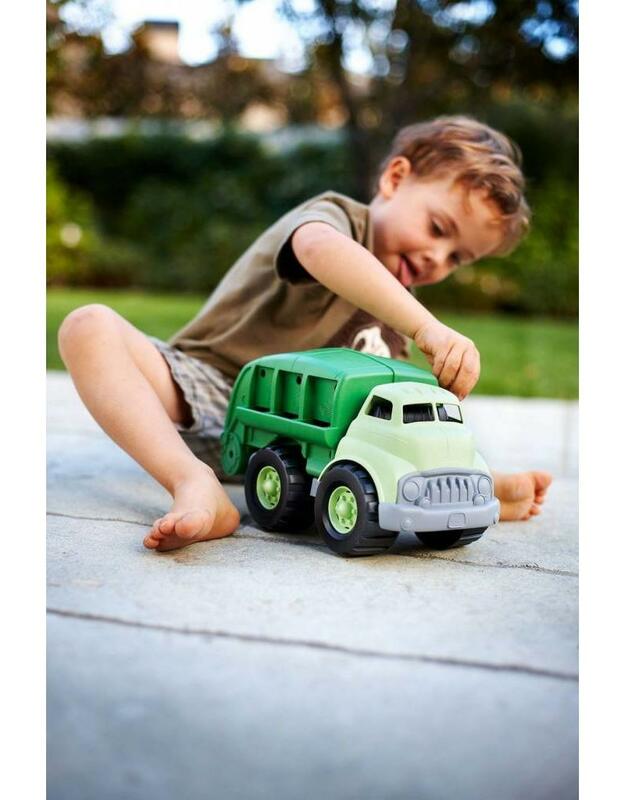 With no external coatings, paints, or dyes, this super-safe, durable toy is good for the earth and safe and fun for little ones. 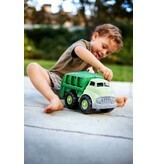 It’s also packaged in recycled and recyclable materials and printed with soy-based inks.